Looking for a Program for Your Local Association? Are you looking for a program for your Local Association? Have you considered one on MTNA Certification? There is an abundance of information on the MTNA website (www.mtna.org). Someone could research the topic and/or a Nationally Certified teacher from your group could talk about his/her experience. I am also available to travel to speak on the topic, if you would prefer. Just contact me at nbspahr01@comcast.net or 765-438-6435. 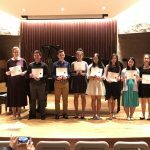 We are very pleased to announce that the 2019 Opus Competition Festival results are in and students did a fantastic job! We received many high-quality compositions and it made the festival very competitive. Congratulations to all the students who submitted entries! 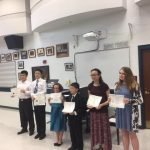 The winners in each category have the opportunity to perform their composition at the IMTA State Conference in the fall of 2019 at University of Indianapolis. Members of the IMTA Board of Directors, as well as any student competitors from Indiana, are eligible to apply for the Stickley Grant. As part of the grant, recipients are asked to write a reflection of their time at the conference. We hope their words might encourage someone who has never attended a conference to go next year! The deadline for the grant is always January 31. The 2019 MTNA Conference in Spokane was incredibly memorable in so many ways. Not only did I have the opportunity to connect with many esteemed colleagues around the world, the educational benefits of a wide variety of sessions featured were invaluable. 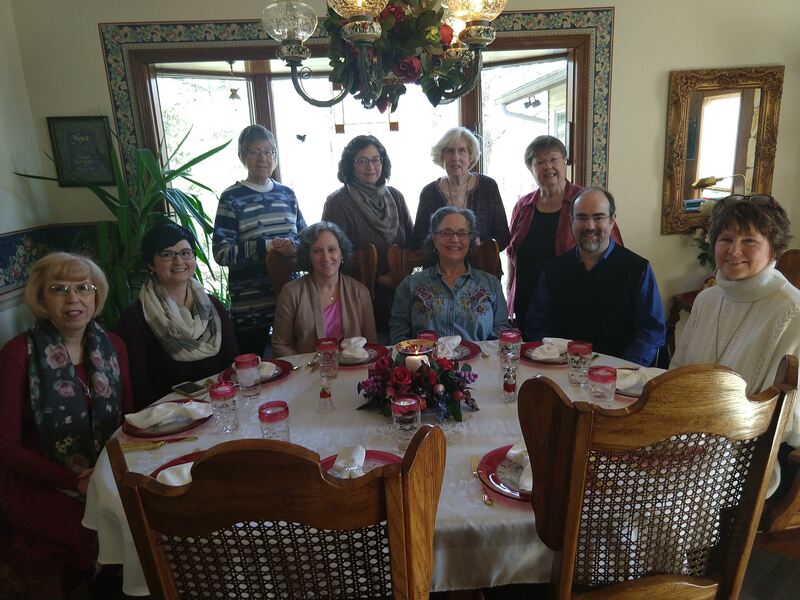 Lectures given by Midori Koga, Rose Grace, and Christine Guptill were eye-opening in the sense that they all dealt with teaching and practice strategies that do not directly involve the keyboard. Some of these include using movements and gestures to cultivate a more musical phrase; the role of visualization in practicing; and taking care of our instrument (our body) in order to maximize performance. The highlight of the conference must certainly be given to the preeminent scholar, Alan Walker, the keynote speaker. His lecture on Chopin was simply breath-taking in every way, and I left the venue being reminded of this important truth—music is capable of expressing that which words cannot; and we, as music teachers, are responsible for conveying this important truth to our students. I don’t think it’s any secret how much I love attending conferences, but I must say – Spokane was one for the record books! I feel as though I’ve come home with more ideas and practical applications to my everyday lessons than ever before. …This list could go on for days. However, what I’d most like to remind my fellow teachers is the fact that our biggest takeaways are often found over lunch, or while chit-chatting our way through the Exhibit Hall. As Karen Thickstun so aptly noted in her session on Originals, peer groups and colleagues are our best sounding boards. I have been so uplifted from spending several days with “my people”. I am continually impressed with the individuals our profession attracts. I love my partners in this art. I’d like to offer my most heartfelt thanks to the Board of Trustees and the IMTA Board of Directors for assisting me in this trip through a Stickley Travel Grant. If anyone is interested in reading a (much!) 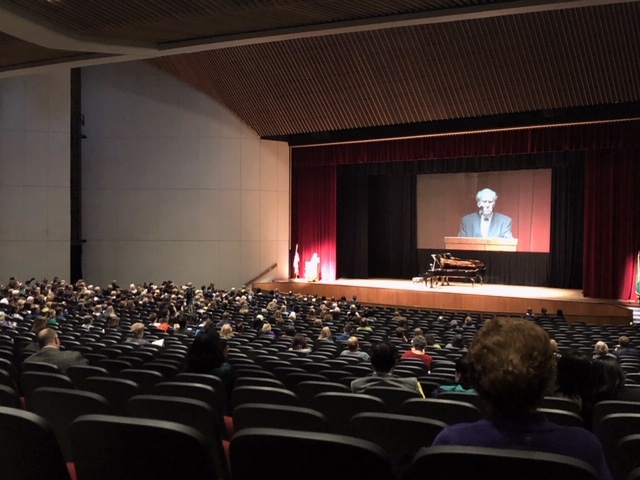 longer overview of MTNA 2019, you are welcome to do so here. (include link to www.whitlockpianostudio.com/blog). It is always fun to be a presenter, and I was happy to have a good group of folks in my session who were very attentive. They asked a lot of questions and gave me some nice feedback at the end and during the next few days. I enjoy talking to teachers about teaching music! I was very proud of our Ball State alums Amy Chaplin and Christina Whitlock who were selected as presenters. They are such great professionals who are really thriving and we are proud to have them represent Ball State University! I really enjoyed the keynote speech on Chopin given by Alan Walker, a highly-respected music historian. He pointed out some of the myths about Chopin we have heard for years – it was a reminder that not everything we read in books is necessarily accurate! I was one of the fortunate ones to be able to purchase his lengthy new biography of Chopin and get him to autograph it. Now that I have heard his voice, I will be able to imagine him reading the words to me as I delve into what promises to be a fascinating book on one of our most revered composers. It was a thrill to hear Dominic Muzzi, the Indiana state Young Artist Piano winner who went on to win the East Central Division and then represent us at the national competition. Having been one of the judges when he won the state competition, it was exciting to hear him again and then to celebrate when he won the national competition. We are all very proud of him. By the way, we both got our undergraduate degrees at FSU – I was just a few years earlier (haha)…… Go Seminoles! Attending MTNA for many years has given me a chance to see a lot of wonderful places in the USA. It was a treat to be able to explore Spokane, Idaho, and even a little bit of Montana. I checked off two more states (Idaho and Montana) on my quest to see them all (only about 10 left to visit). Just beautiful….. 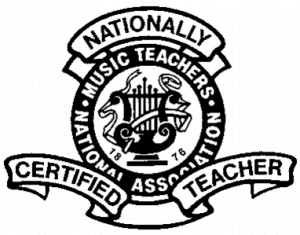 The best thing about attending MTNA is the opportunity to connect with my music teacher colleagues. We had a blast at the Indiana dinner and it was so great to see so many of my friends from around the country whom I have met and gotten to know through MTNA. If you have never had the opportunity to attend one of the MTNA national conferences, I encourage you to plan now to attend the 2020 conference in Chicago – an easy trip for us Hoosiers! Start making your plans now to be able to give yourself this opportunity – you won’t regret it! World-renowned choral director Joseph Flummerfelt passed on Friday, March 1. He was the son of Mavorette Flummerfelt, a long time piano teacher and member of IMTA for many years (who attended IMTA conferences into her 80’s). Flummerfelt was recently diagnosed with glioblastoma, but had a massive stroke before treatments could begin. View the article “Joseph Flummerfelt, a Force Behind Mighty Choruses, Dies at 82” on the New York Times. This is the season of bad weather which results in two-hour delays or school closings. What do you do when students can’t make their lessons because of the weather? Maybe this is a good time to get online and look up MTNA Certification at www.mtna.org. Click on “Engage” and then on “MTNA Certification Program.” Start with the testimonials by three celebrated teachers, then explore “Get Certified: Learn More.” At the bottom of that page, you will find some more categories to read. Click some more to see what it’s all about, what you will need to do, and how to go about it. Now how about making a timeline for yourself? Breaking the task down into small segments can make it all manageable. After all, this much didn’t take too much of your time. Now you can get started with one part at a time. Working on a little bit during those canceled lesson times can help you make progress little by little. Before you know it, you’ll have completed a sizeable portion of your certification! I am always available to encourage and answer questions (nbspahr01@comcast.net or 765-438-6435). Voting is now open for the MTNA National Elections. Please consider voting even if you are not personally familiar with the candidates! Take a moment to read about each nominee and determine who has the characteristics and leadership qualities that you would deep important for that particular role. It only takes a few minutes! Indiana is proud to have one of our current members on the slate for President-Elect for MTNA! Karen Thickstun has been a valuable member of the state board for many years serving in a plethora of roles. See her bio below. 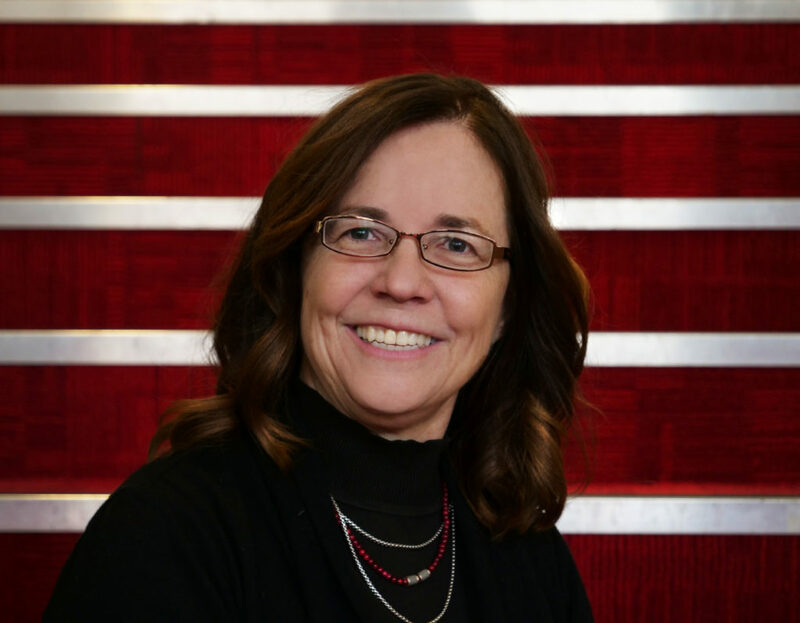 Karen Thickstun, NCTM, teaches piano pedagogy at Butler University, directs the Butler Community Arts School, and maintains an independent studio. Thickstun holds degrees in piano performance/economics from Duke University, business administration from University of Virginia and piano pedagogy from Butler University. Three of her pedagogy students have received the MarySue Harris Studio Fellowship award. She advises the Butler MTNA Collegiate Chapter, which has presented at state and national conferences. “I am devoted to mentoring young professionals. I believe they are essential to MTNA and our profession,” Thickstun says. Thickstun served as MTNA Secretary-Treasurer from 2013–2015 and MTNA Vice President from 2015–2017. Recent national appointments include membership committee chair, grants and awards task force chair, MTNA Teacher of the Year committee chair and strategic planning committee. She served as director of East Central Division from 2008–2010, chairing the Local Associations Forum. Thickstun authors a tri-annual business column for American Music Teacher. Her articles have also appeared in Keyboard Companion and Clavier Companion. She has presented business and pedagogy sessions at local, state and national conferences. Thickstun has been active in Indiana MTA as state president, trustee chair, and various state and local positions. She received the Distinguished Service Award in 2002 and the Teacher of the Year award in 2008. As founding director of the Butler Community Arts School, Thickstun provides leadership and vision. Serving more than 2,000 children through private lessons, group classes and camps, instruction is provided by more than 100 Butler University students that she mentors in professional teaching practices. Thickstun has developed a network of community partners to provide access to the arts for innercity youth. 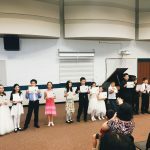 To fund outreach classes, Thickstun has written and received grants for more than $100,000 annually for the past eight years. “I believe that everyone should have the opportunity to experience the arts in meaningful ways. MTNA programs enlighten and challenge our members, as well as students, colleagues, and communities. MTNA has played a vital role in my own professional development. I pledge to bring my passion, integrity, and work ethic to the position of MTNA President-elect. I am honored to be nominated and will strive to maintain high quality programs while developing new ideas that engage and transform,” she says. IMTA is happy to announce that Anderson University will be sponsoring an additional award for winners of the Elementary, Junior, and Senior levels of the Opus Composition Festival. 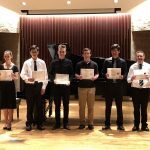 Winners in each of these categories will get the opportunity to attend the 2019 Summer Composition Camp at Anderson University for 50% off the tuition. 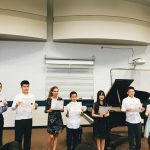 During the camp, not only they will students learn how to compose music more effectively but also learn about orchestration, music theory, ear training, notation, and more. They will also have a piece to be performed at the recital on the last day. The camp will be held during the week of July 9-13, 2019. Details here.